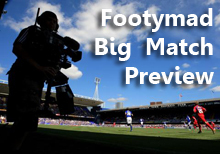 FM Preview: Macclesfield Town v Stockport County 30 Mar 2013 - Macclesfield Town F.C. Macclesfield Town are ready to welcome Stockport County to Moss Rose on Saturday afternoon, determined to stop the rot against their opponents, having lost out to their rivals on 5 of the previous 7 occasions. The previous match played between the two at Moss Rose was within the last three years, in September 2010, as the visitors ran out cosy 0-2 winners in a League Two match. Macclesfield Town are not in the best of form at home, with two wins, two draws, and two defeats in their last six. While Silkmen have scored 4, a worringly large 7 have been leaked at the other end. Stockport County have an average recent record on the road, seeing them win just 1 and draw 2 of the last six. While the Hatters have hit 5 goals, 9 have hit the back of the wrong net. Stockport County are hovering perilously just above the relegation zone, with 45 points from 40 matches. Macclesfield Town Unbeaten run of 3 matches. Stockport County 4 games since last away draw.